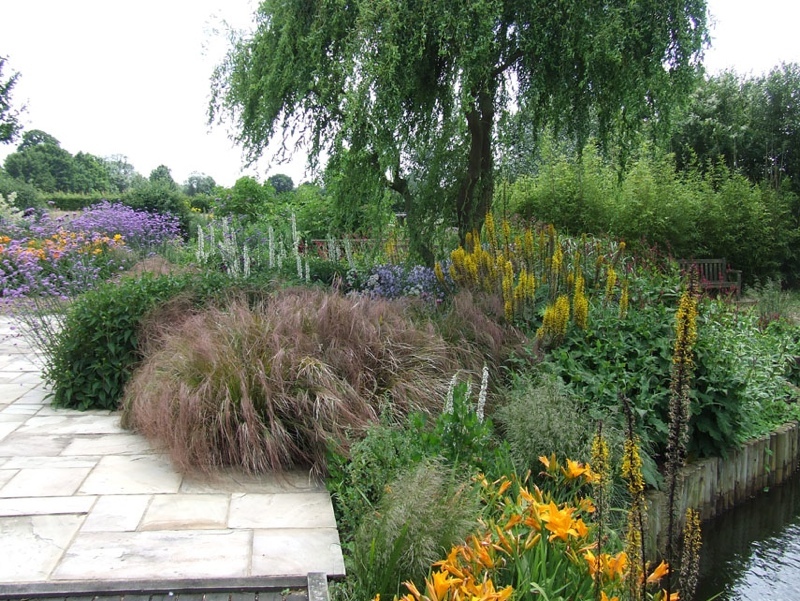 The brief here was to create a colourful garden that fitted into the context and did not impinge on the views from the house. 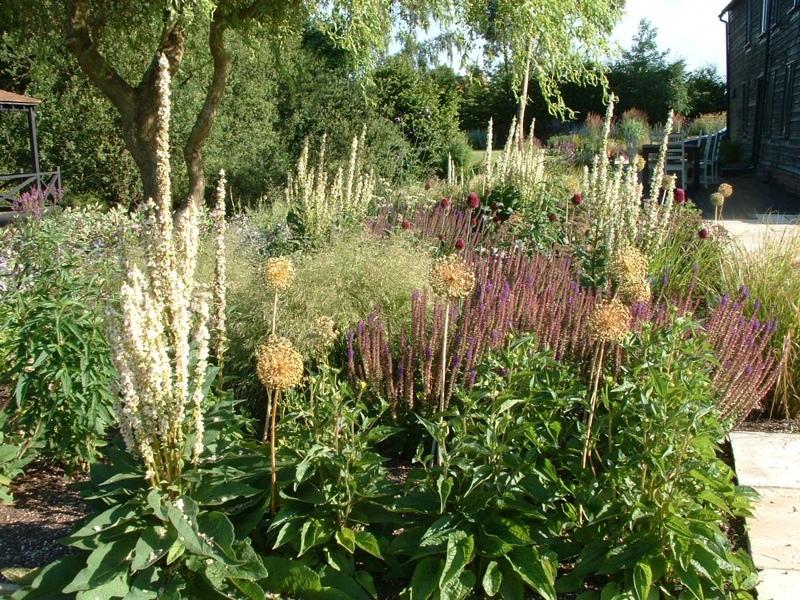 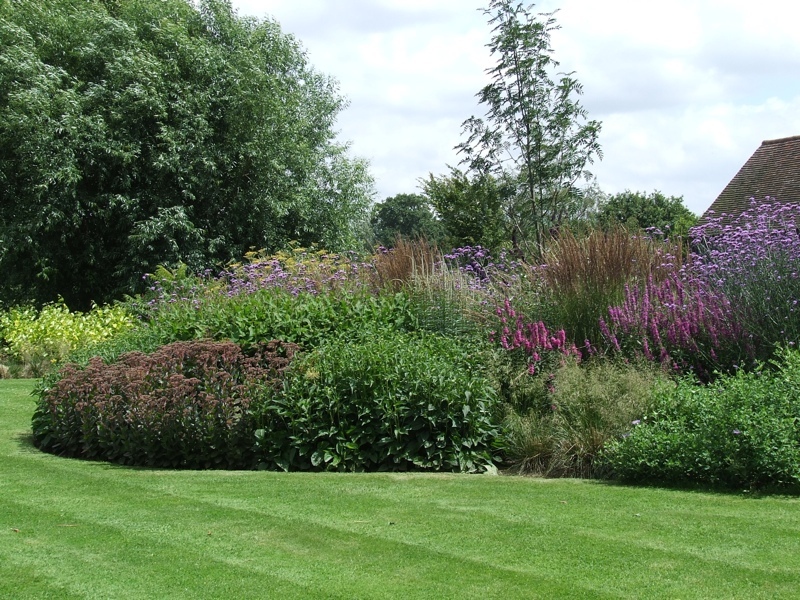 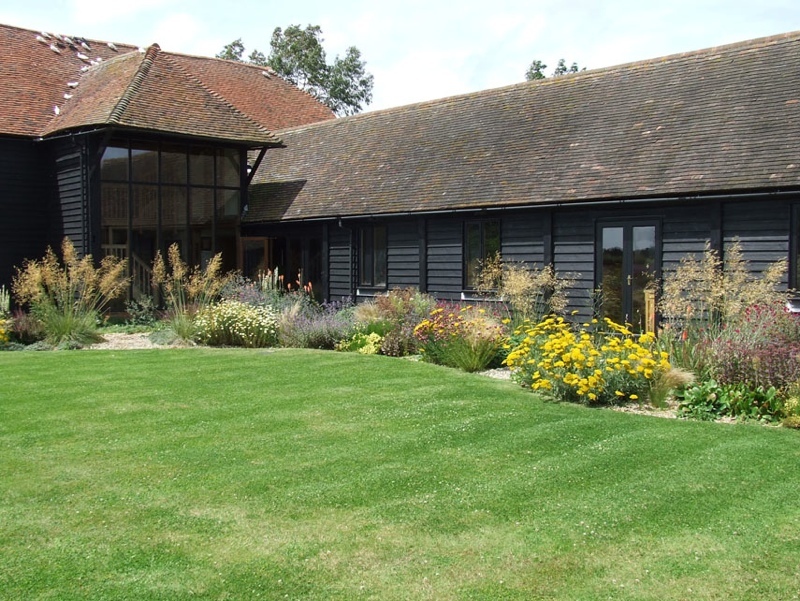 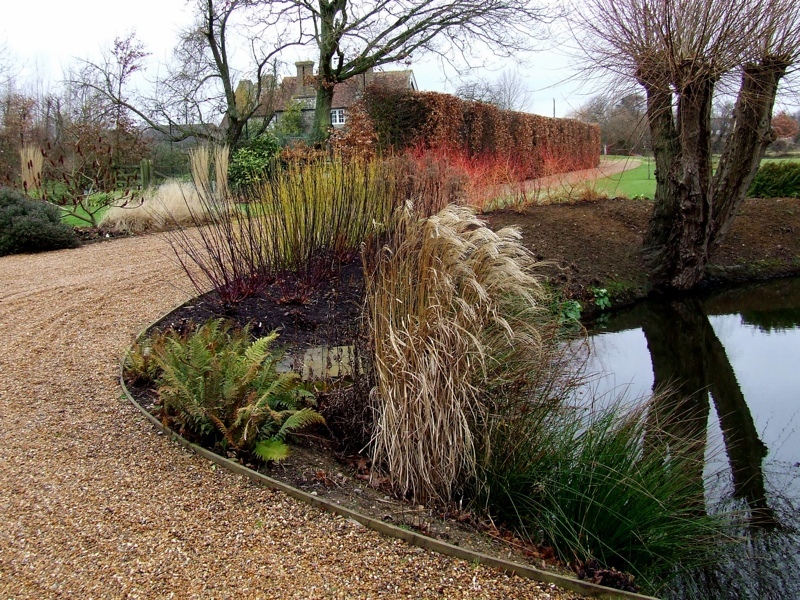 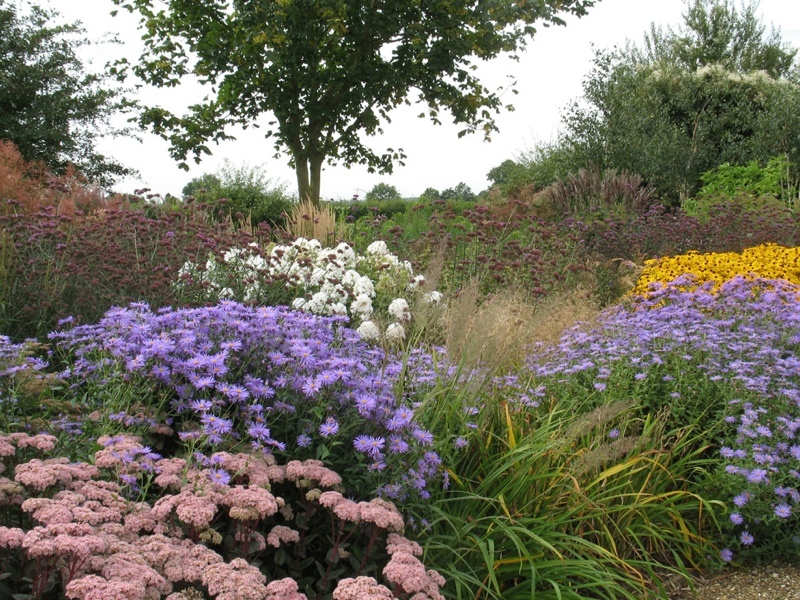 Masses of perennials and grasses were planted together in swathes to create a natural planting mix. 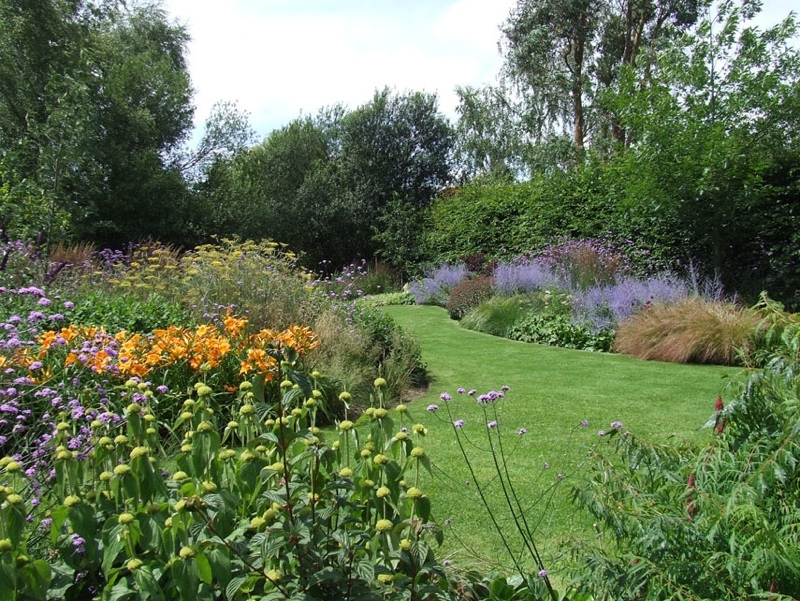 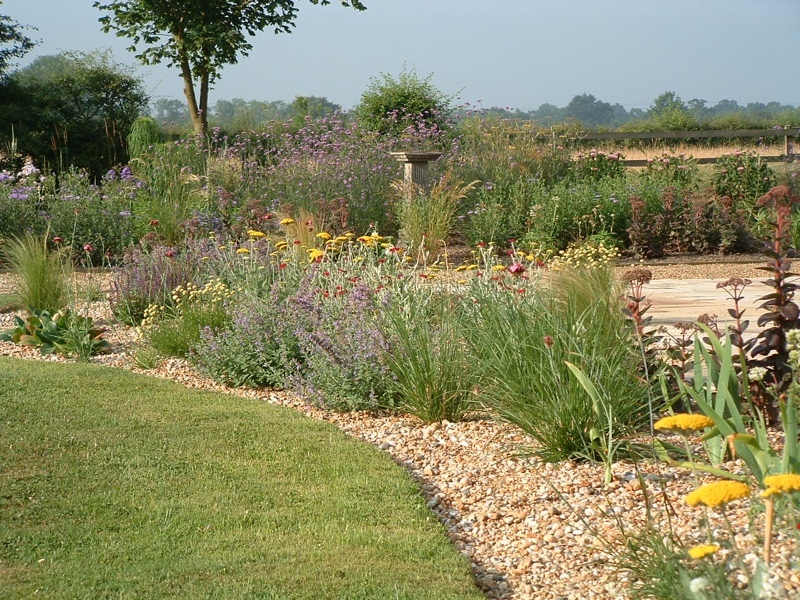 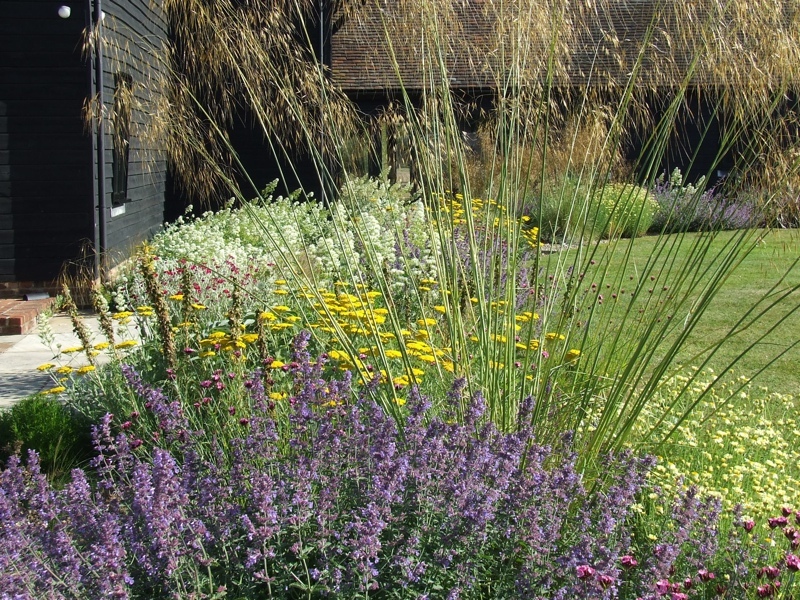 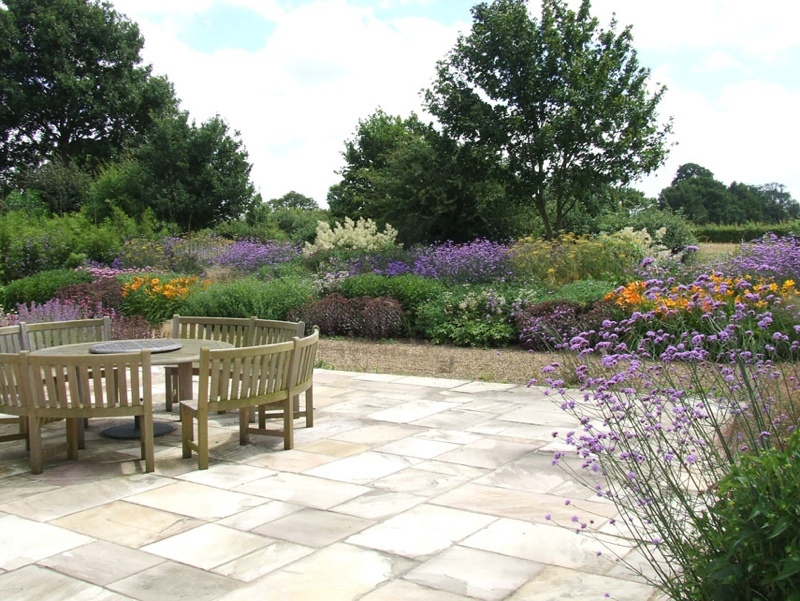 Some species like Verbena, Digitalis and Stipa have been allowed to self-seed to add to the natural feel. 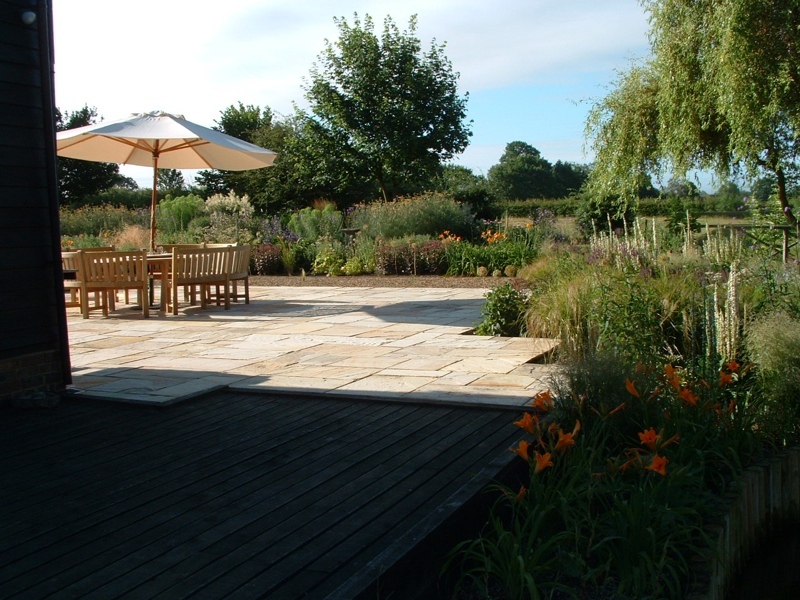 This garden still looks wonderful during the winter months particularly when the frost sits on the seeds heads and the sun shines on the feathery silhouette of the grasses. 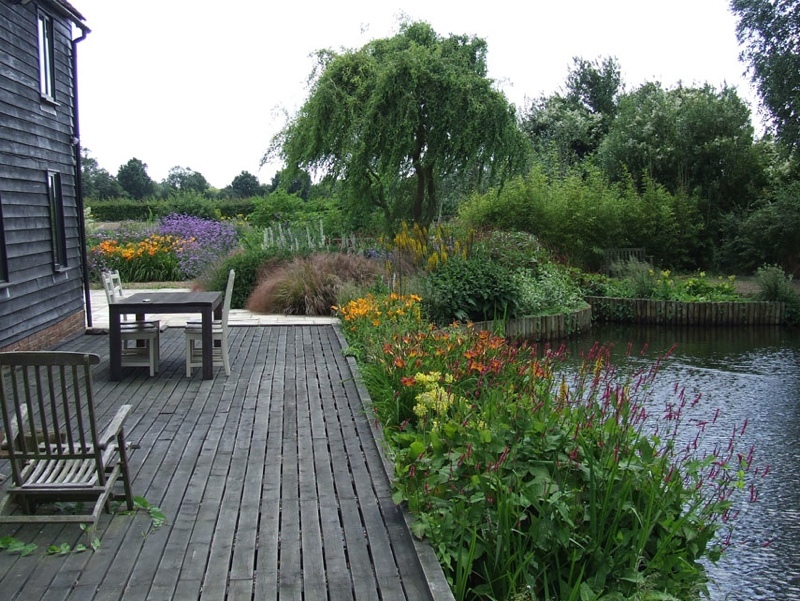 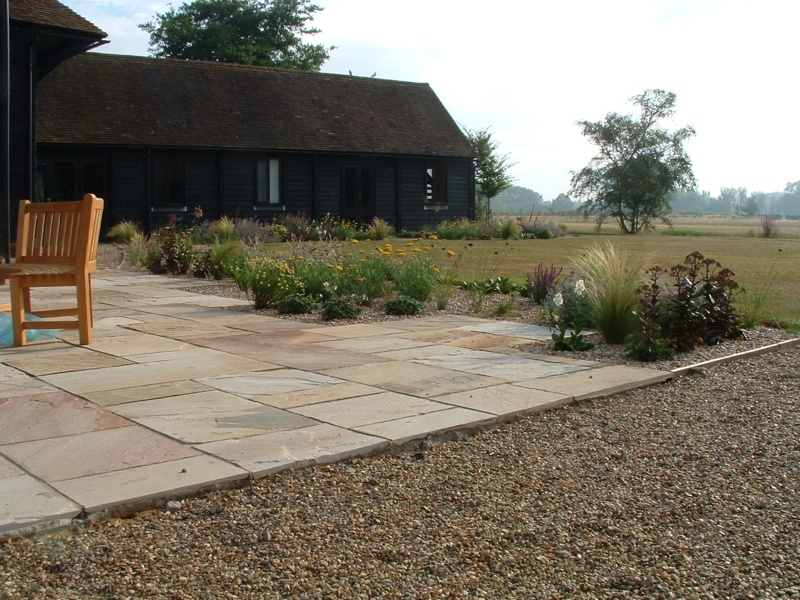 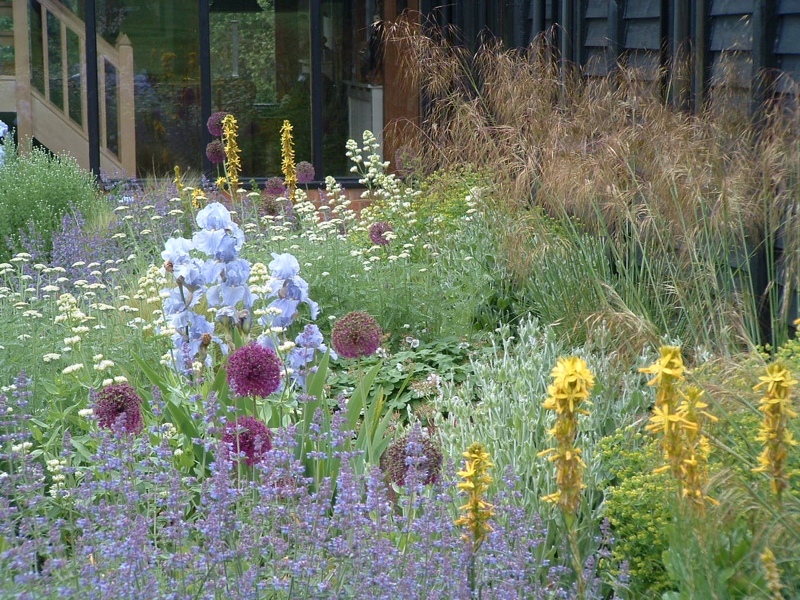 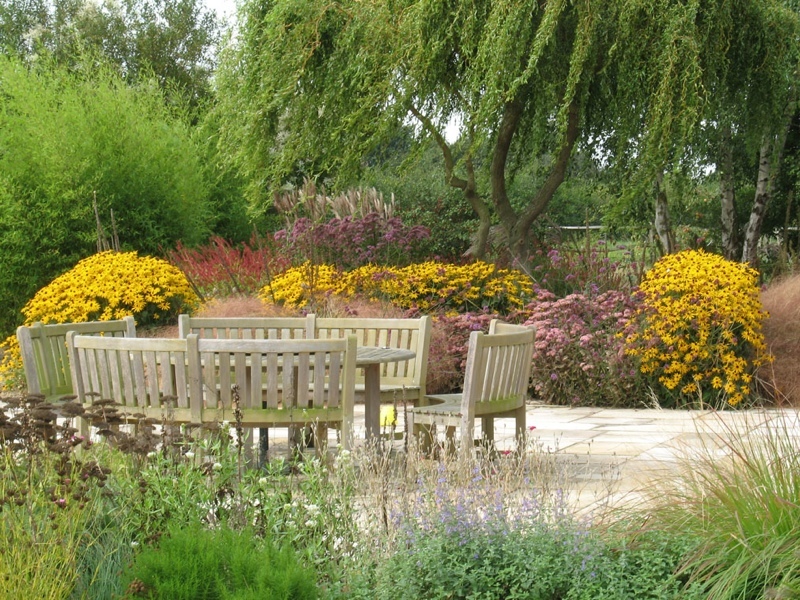 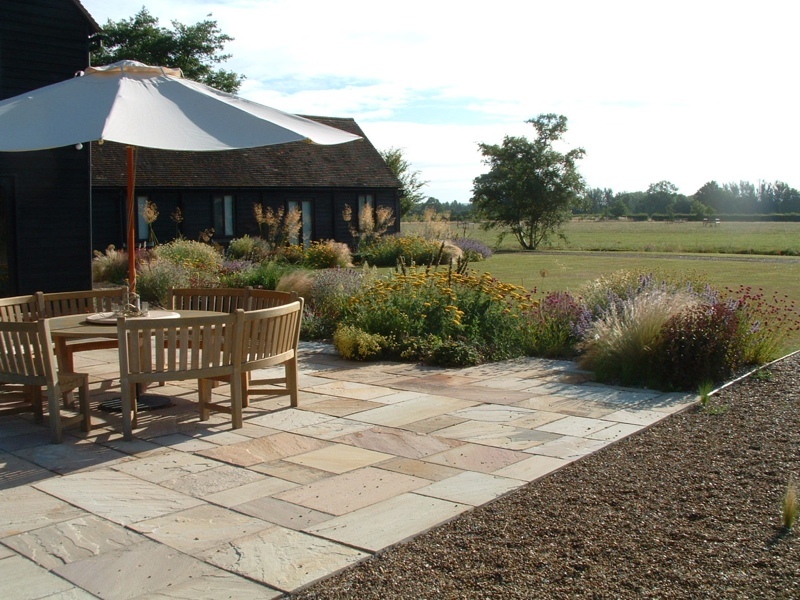 Despite this large garden still being under construction when some of these photographs were taken, it gives a clear idea of the colours achievable in a short space of time, through thoughtful planting combinations. 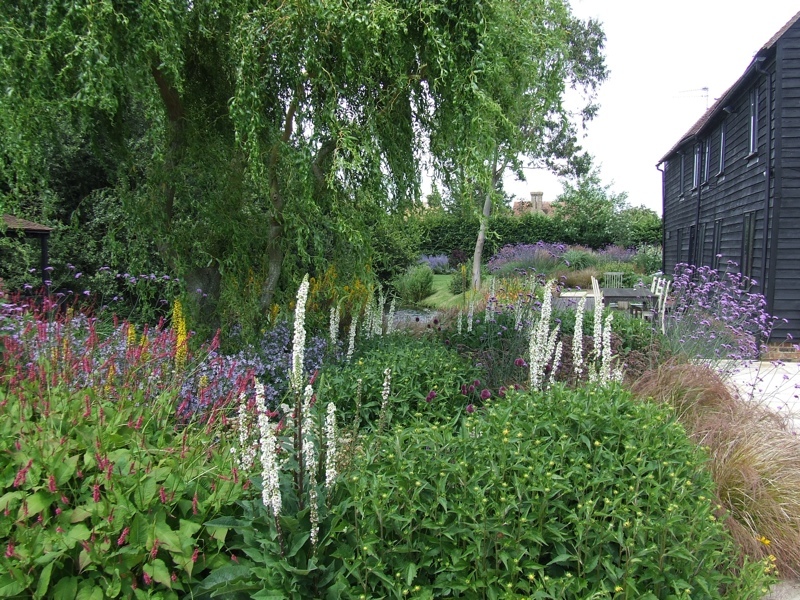 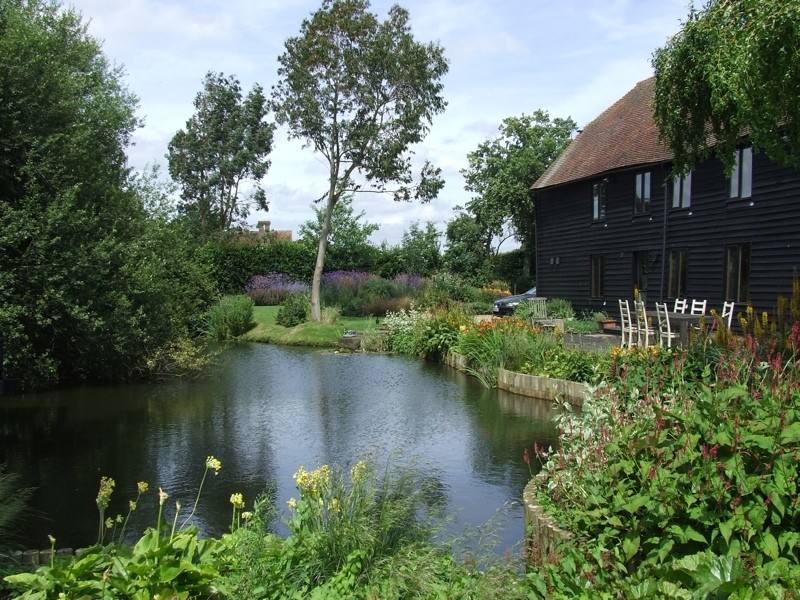 The last photos in the set are more recent, and show how this garden is quickly maturing.